Calling all sailors! If you have a passion for sailing, this bow tie might be the one you're looking for! Bring out your inner sea captain with this Rainbow Fleet Bo... read more Calling all sailors! If you have a passion for sailing, this bow tie might be the one you're looking for! 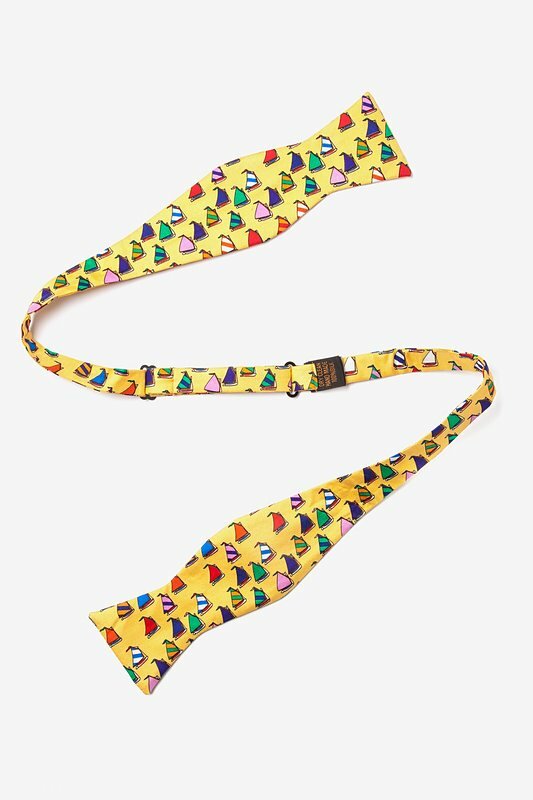 Bring out your inner sea captain with this Rainbow Fleet Bow Tie. 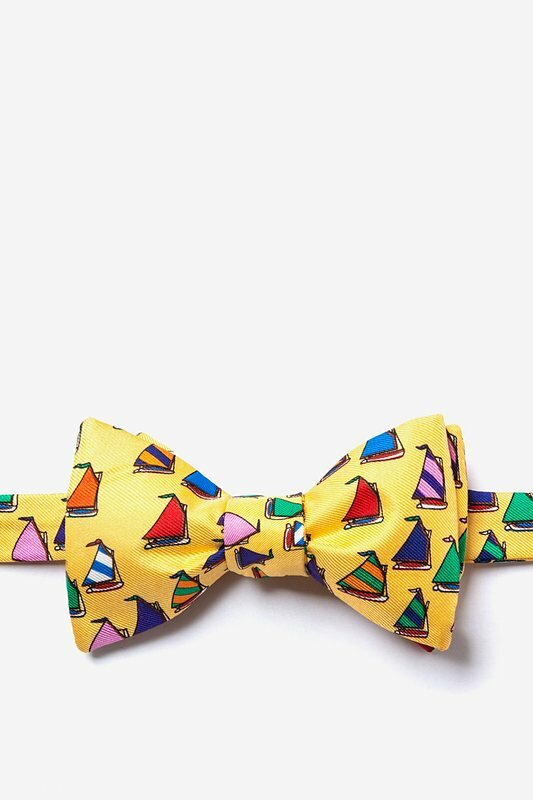 This 100% silk bow tie features boats with colorful sails on the open sea on a yellow background that will have you racing for the harbor!